At a meeting of the Organization of American States (OAS) this week, international diplomats had the chance to send a clear message to Venezuelan dictator Nicolás Maduro that his authoritarian rule must end. However, despite a proposal urging Maduro to scrap his plans to re-write the Venezuelan constitution receiving the support of 20 major countries, the resolution failed to reach the required 23 votes after five countries voted against, while seven chose to abstain. Two of those countries, Bolivia and Nicaragua, are run by radical socialists, Evo Morales and Daniel Ortega, who have long been openly supportive of the Venezuelan government. For some, the presence of small Caribbean islands on the list of those that voted against the resolution or chose to abstain may be more surprising, however. These, too, have strong but less publicized links to the Venezuelan government. Many are members of Petrocaribe, an oil alliance of many Caribbean states with Venezuela to purchase oil on conditions of preferential payment, as well as the Bolivarian Alliance for the Americas (ALBA), an economic alliance set up by Hugo Chávez in 2006. The Dominican Republic currently pays out $1.5 billion a year [link] revenue to Venezuela in oil payments alone. In recent years, the country has also made payments in food products such as black beans, sending approximately 10,000 tons a year. Antigua and Barbuda has been a member of ALBA since 2009, bringing substantial benefit to the country’s economy. Furthermore, when the country’s banking system collapsed in 2009 as a result of a fraud scandal surrounding Texas billionaire Allen Stanford, Venezuela provided a $50 million cash loan on concessionary terms to help revive their economy. Since 2012, Haiti has been a “permanent observer” of ALBA and is also an active member of Petrocaribe. Maduro’s government has vowed to invest in Haiti – in 2014, for example, Maduro promised to invest more heavily in “made in Haiti” technology. As a result, Haiti has vocally condemned any attempts to hold the Maduro regime accountable for its human rights crimes. In April this year, Haiti’s ambassador to the Organization of American States (OAS), Jean-Victor Harvel Jean-Baptiste, accused regional diplomats of attempting a “cosmetically disguised” coup against the Maduro regime. Haiti was also the scene of one of the more embarrassingly episodes in Maduro’s tenure as president: the arrest of two of his nephews for an attempt to traffic cocaine into the United States. The nephews alleged that the drugs in question belonged to a man Maduro later made his vice president, Tareck El Aissami. Not all of its members are anti-American firebrands, however. Some, like St Vincent and the Grenadines, are simply small Caribbean island nations looking for friends on all sides. In 2005 Ralph Gonsalves, its prime minister, brought the country of around 100,000 into PetroCaribe, Venezuela’s subsidised-credit scheme for oil exports. Four years later he signed up for ALBA itself. St Vincent has benefited from the relationship with cheaper fuel for electricity and with machines used in the construction of a new airport. A statement on the official government website also reveals that authorities have placed photos of Fidel Castro and Hugo Chávez in a “prominent position” at Argyle International Airport. Trinidad and Tobago is also a member of Alba and Petrocaribe. In May 2016, both countries tightened relations by signing an agreement to engage in collaborative gas exploration and increased trade links. Maduro is a problem of today and will depart in the immediate future. 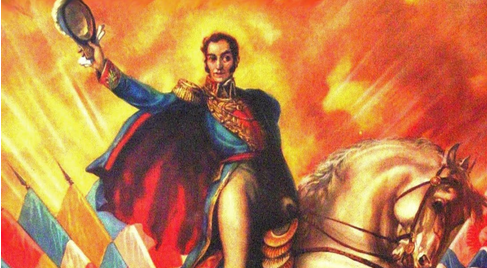 Those who question Haiti’s situation fail to understand our historic involvement with Venezuela and Simon Bolivar, the man who broke Spain’s hold on the Americas and freed the slaves. Bolivar launched his two attempt from Haiti. Without this partnership he would not have succeeded. We were aligned with Venezuela while the United States still ignored us. We are friends with the Venezuelan nation and must honor this historic tie.